Ballet lessons bring many positive benefits. They help to foster confidence, poise, grace, musicality and self-discipline. An early introduction to ballet through a pre-school class such as those offered by the Baby Ballet Franchises is the perfect fun introduction to ballet and dance. Everything needed for ballet from top to toe can be supplied by Tappers & Pointers from ballet shoes to headbands and everything in between. Ballet shoes for young starters may be in leather or satin. The leather tends to grow with the feet whereas the satins are slightly less expensive. You will also need a pair of ballet socks for dance classes. These are a fine knit sock which come to just above the ankle. This pretty pink leotard is a favourite uniform style for many dance schools. Made from soft cotton lycra and is available in a range of pastel shades. Some schools like their young starters to wear a leotard and skirt similar to this one. This knitted crossover cardigan is ideal for a warm-up garment at the beginning of the dance class. 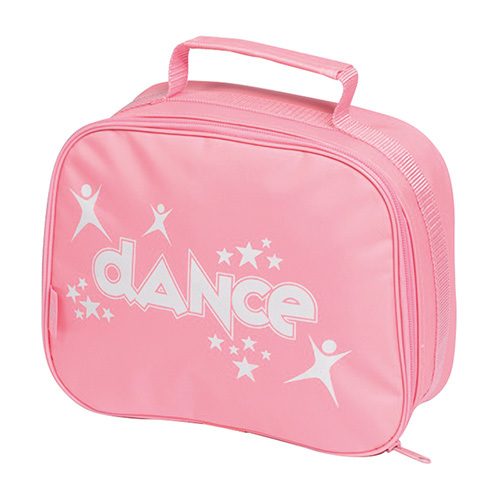 A small bag to carry dancewear and ballet shoes to and from class is essential and we have a good range to choose from.